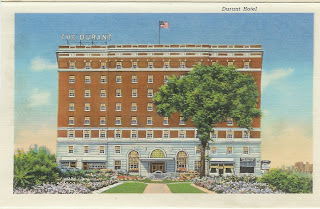 Plans seem to be in place to redevelop the historic Durant Hotel. The Genesee County Land Bank has purchased the building and is working with developers to complete an interior demolition. The goal is to create housing for students and young professionals. This sounds a little risky, but it makes more sense than AutoWorld. After all, the place has been vacant since 1973, a decaying reminder of everything Flint used to be. U.S. Congressman Dale Kildee — an Eastsider who graduated from St. Mary's — is even pushing for $150,000 of federal money for the project. But although preliminary engineering reports indicate the building can be saved, the negotiations could still fall apart with Lansing-based real estate developer Karp & Associates. If that happens, Land Bank Chairman and county Treasurer Dan Kildee has made it clear demolition is still an option. 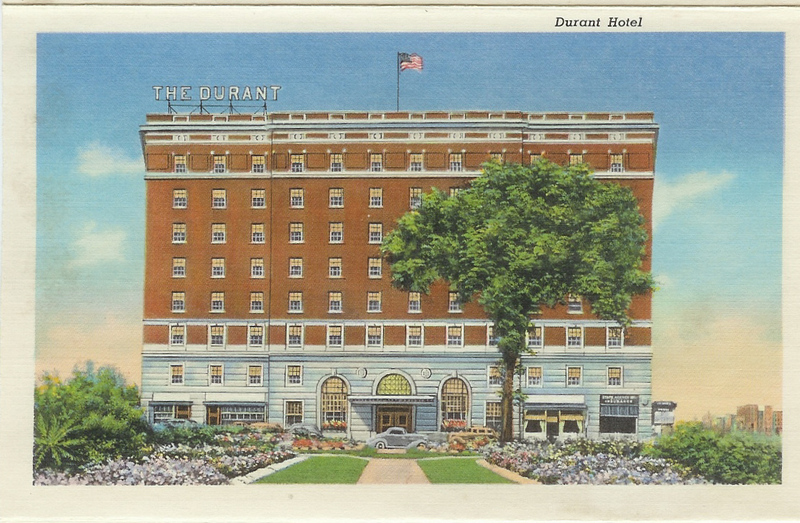 If you're wondering how the hotel named after GM founder William "Billy" Durant is holding up, check out this YouTube video. Warning: The camerman does NOT have a steady hand, and I got a little car sick watching this, but it gives you an idea why this is expected to be a $23 million job. Here's a partial list of home foreclosures in Flint, complete with photos. 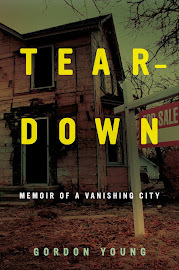 Once you start talking about mistakes Flint has made related to historic preservation, especially downtown, it can turn into a very long conversation. But I can’t help myself. I have to talk about Uncle Bob’s Diner. 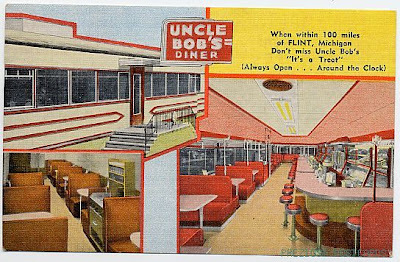 Generations of Flint residents ate at Uncle Bob’s, located near the Capitol Theater. Built in 1947 by the Jerry O'Mahony Dining Car Company, it was a destination for everyone from downtown business people at lunchtime to college kids looking for excitement after GMI formals. 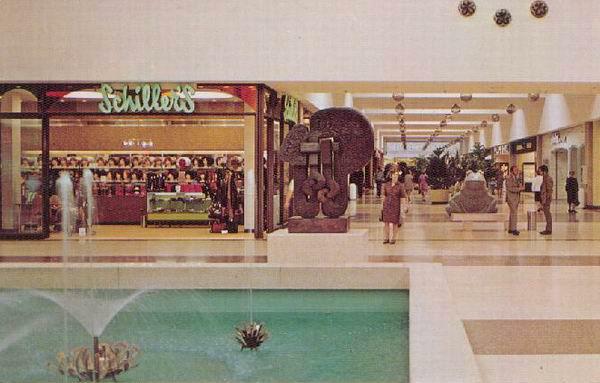 It even had a short run as a weird little new wave hangout in the ‘80s. But that was near the end. While the Flint braintrust was building AutoWorld, Uncle Bob’s was closed and decaying. The good news is that Jerry Berta, a sculptor who specialized in ceramic art related to diners, bought the diner in 1986 for $2,000. The bad news — for Flint, anyway — is that he moved it to Rockford, Michigan. Berta and his wife, Madeline Kaczmarczyk, an artist, spent $50,000 restoring the place, right down to the original pink Formica ceilings, porcelain enamel exterior and stainless-steel sunburst patterns. They envisioned an art studio — a diner filled with diner art called The Diner Store — but visitors kept showing up for food. So Berta bought a few more old diners from various places, and started serving food at Rosie’s Diner. In 1993 Berta decided to add a putt-putt course. It was not your average mini-golf setup; almost every hole has a cement sculpture of big food or art. He called the whole place Dinerland. In 1996, Berta was able to put another neon sign in the window that stated, "Over One Million Served Right!" It went up as Jack Tietsama enjoyed the one millionth meal served at Rosie's in Rockford. The artists sold the diners in 2006 to Randy and Jonelle Roest, who continue to manage the popular attraction. Flint ain’t Rockford, so I’m not claiming that this could have happened in the Vehicle City. But you never know. Genesee Towers, the county's largest and perhaps ugliest building, is abandoned and, apparently, ready for the wrecking ball. The city is so worried that pieces might start falling off the building that it's restricting traffic around the 19-story eyesore in downtown Flint. "This could be a catastrophe. This could be a property catastrophe or a human catastrophe," said City Attorney Trachelle Young. But building owner Kumar Vemulapalli swears everything is just fine on First Street. "My engineers say the building is safe," he said. "I am currently in court with the city and this is just an attempt by them to influence the judge with all of this hoopla." For some unfathomable reason, the building is featured on the new Michigan license plate called “Spectacular Peninsulas," along with scenic portraits of the state Capitol, Detroit’s Renaissance Center and Grand Rapids’ Alticor Building. 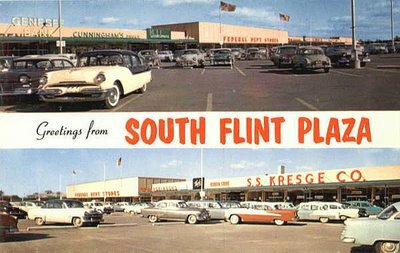 Kelly Chesney, a spokeswoman for Secretary of State Terri Lynn Land, said she could not confirm if the square building with a protruding square on the roof is, in fact, Genesee Towers, but she said the agency asked the artist to incorporate Flint’s skyline in the drawing. No word yet on why it's called Genesee Towers (plural) when there is only one building. UPDATE: A friend informs me it's plural because the architect claims there are two buildings stacked on top of each other, with an open-air gap in the middle. General Motors reported its largest quarterly loss ever today — $39 billion — after it took a huge noncash charge to write down deferred tax credits. Yes, that's $39 BILLION! Amid the doom and gloom about the Michigan economy, there are definitely signs of hope in Flint. 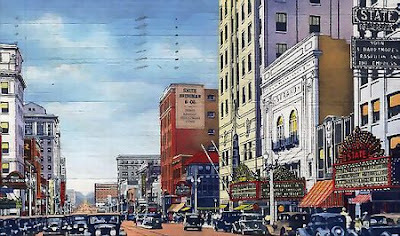 "Stone Street — located in Flint's historic Carriage Town neighborhood — once was part of a bustling city neighborhood. 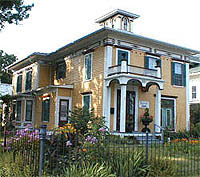 Although it stands empty now, victim to disinvestment and neglect, the old street is poised to recapture its residential vibrancy, thanks to the Genesee County Land Bank Authority. Plans call for construction of several new, historically sensitive homes that will increase the housing stock available in one of the city's oldest neighborhoods. "An additional five units of housing -- donated by the Carriage Town Historic Neighborhood Association and the Atwood Authority -- also will be redeveloped by the Flint Neighborhood Improvement and Preservation Program. Altogether, this will account for $2.8 million in investment, 13 new homeownership opportunities, nine affordable housing units and two completely restored city blocks of housing in the Flint River District area, according to Amy Hovey, interim director of the Genesee County Land Bank." Okay, these photos don't make it look so appealing, but sometimes we just really miss Angelo's Coney Island. Especially after a few drinks. And what could be healthier than fries with gravy and a side of cigarette smoke? Eric Weaver, a Grand Rapids native now working as an ad exec in Seattle, has put together an impressive online guide to the Michigan accent, complete with a pronunciation key and a section on unique words and phrases. "A little bit Fargo, a little bit Nasal Chicago, and a little bit Canadian, the Michigan Accent was derived from a lot of the linguistic influences of its early settlers: Irish, Finnish, Welsh and Dutch. In some areas, particularly around blue collar parts of Detroit, hordes of poor Southerners who came up the Dixie Highway to work on the assembly lines in the early-to-mid 1900's have also injected a bit of Southern twang into our Northern European heritage. "The resulting mix is similar to a pirate from Kentucky with a head cold... something my friends give me a hard time about quite frequently." 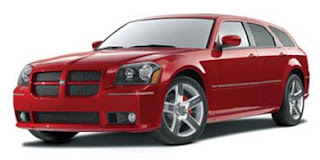 Chrysler announced today that it's cutting 11,000 jobs and dropping the PT Cruiser, the Chrysler Pacifica, a crossover vehicle dissed for being too big and too pricey for family buyers, and the Dodge Magnum, which looks a bit like a stylish hearse. It's not a direct blow to Flint, but it's not good news for Michigan. If you just want the numbers, the Bureau of Labor Statistics has a concise rundown of Flint's employment statistics. Flint firefighters change their tactics as they deal with blazes in abandoned structures.